A set has been Installed on Ryans truck and what a difference from stock! 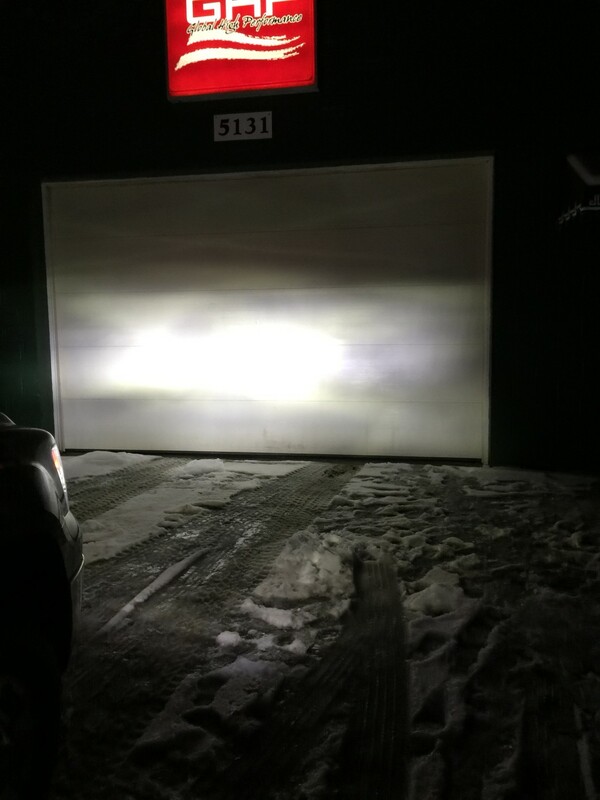 The installation is the same as replacing your factory bulbs but the lights put out a brighter, whiter and wider beam. 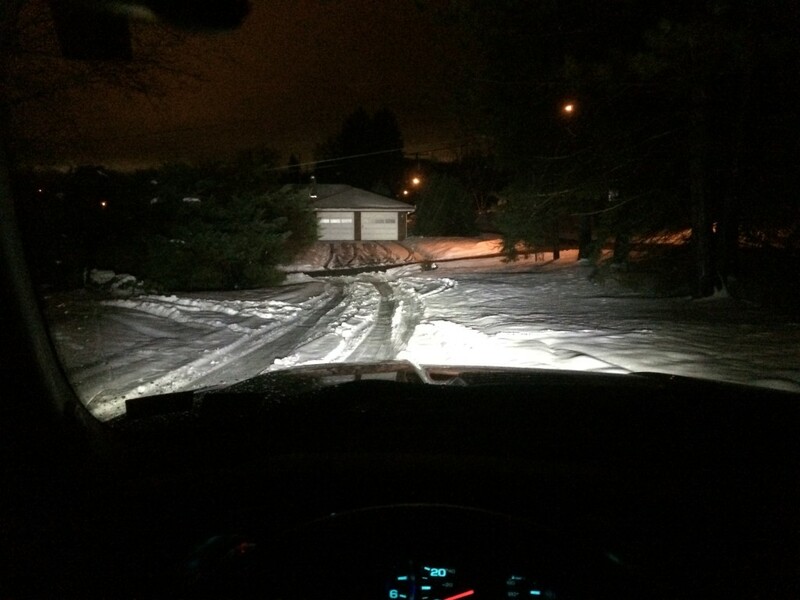 It really is the next best thing to HID lights at a fraction of the cost. Here are a couple of pictures to prove it. 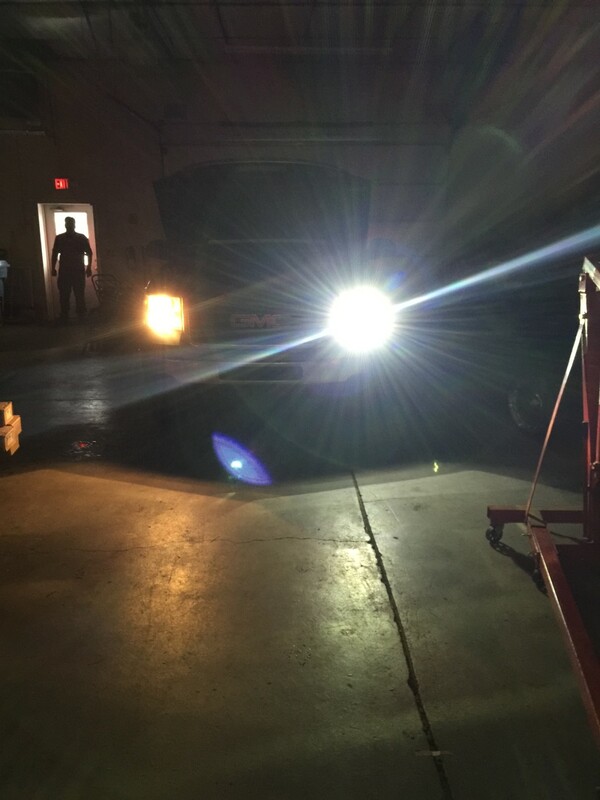 Here is the truck with one stock headlight bulb and one Nite Lux LED bulb. Guess which is which! I am very pleased with the brightness and natural white color of these bulbs over the stock bulbs. Look at the nice natural color of the lights annoying my neighbor. They reach out pretty far. Ha ha!